Welcome to The Pet Diaries! 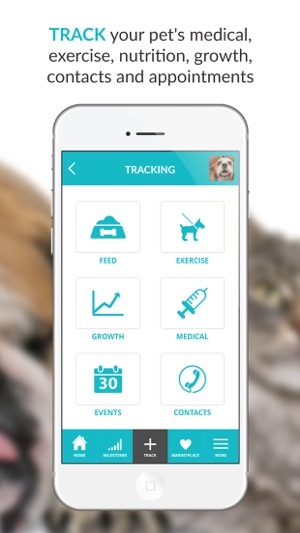 This app will bring peace of mind to pet parents by offering all of the following features, managed from the palm of your hand. 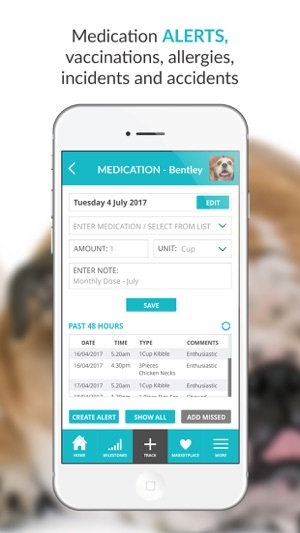 TRACK MEDICAL: Keep track of pet's medications including date, time and dose; set alerts to remind you when medications are due, and ensure pet-sitters are giving pet's their medications when due. TRACK VACCINATIONS: Never forget another vaccination by keeping track with in built alerts. 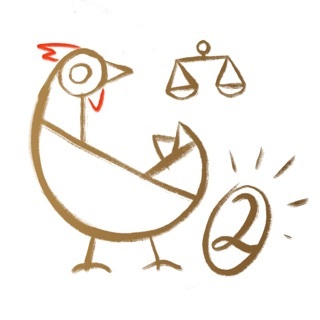 TRACK WEIGHT: With obesity one of the biggest health risks in pets, keeping track of weight is super important, and super simple with The Pet Diaries app. TRACK EXERCISE: Is your pet getting enough exercise? Keep track and compare within the app. 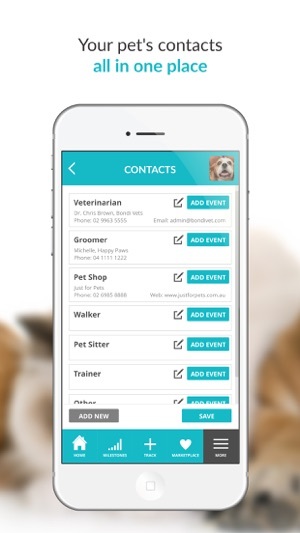 TRACK CONTACTS: Wouldn't it be great to have all of your pet's contacts in one location? Now you can! Vet, groomer, walker, pet shop, online retailers, pet-sitter and more, all here in The Pet Diaries. BOOK APPOINTMENTS: Make bookings with your contacts directly from the app and save into your calendar! STORE MEMORIES: Store photos of special memories in the app, and share with friends on social! TRACK NUTRITION: Keeping track of your pet's nutrition is important and now it"s also really easy! ONE HANDED TRACKING because you already have enough on your hands. ADD MISSED activities and set alerts for upcoming activities. We’ve updated the home page so that you can see all of your pet’s latest activity in one spot. 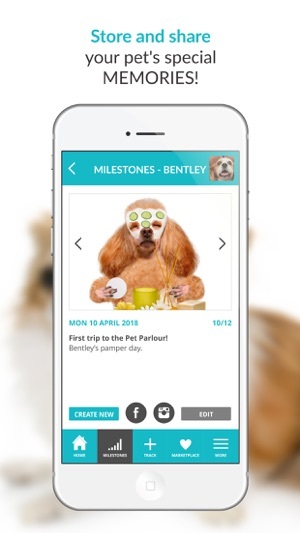 Our pets are family and this app helps us sort out everything we need to remember about our fur babies. I like the marketplace and also that you can keep memories. We can loose dates for vaccinations etc. so important to keep our guys healthy. 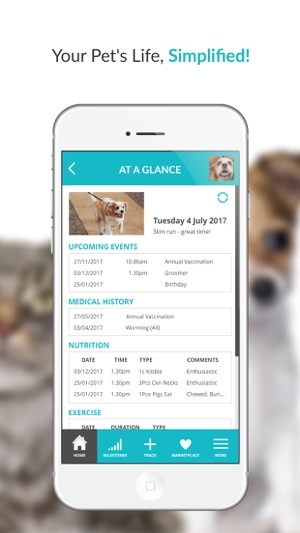 I can have all four of my pets info in this one app! Vaccinations, food, medical everything! My fave thing is definitely the memories part! I can now finally remember when and where i took the pics of my animals!